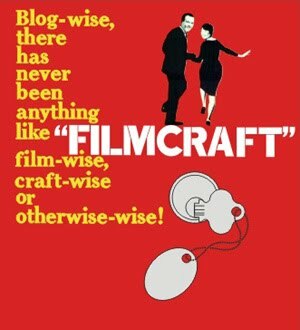 filmcraft: a trip to the fair, or, how to block your knitting without any pins or anything. a trip to the fair, or, how to block your knitting without any pins or anything. just back from another lovely week at the lake, our summer tradition. swimming, knitting, baking, eating, and re-reading evelyn waugh (a new obsession since re-watching the amazing 1981 production of brideshead revisited). this trip, i pioneered a couple of new methods for blocking! with no blocking boards, or pins, or any tools at all really, i came up with two methods. for a washcloth: wet it, smoothed it out on a cutting board, covered it with a tea towel, and flattened it with a stack of magazines. later i set it out on a picnic table in the sun to dry completely. method two, for an alpaca scarf: i was already sitting by the lake when i finished it, so we went for a swim together. then i laid it out along the length of one of the boards - it was the perfect width! - and weighted the corner down with stones, to make sure it wouldn't blow away and be lost forever. then i treated myself to my annual pedicure while it dried in the sun! with that done, it was time to get all of our fair entries together. there were many tags to be filled out - i made sure to bring a pile of blanks home, so that next year i can write them in at my leisure. my hand was sore after filling in all the tags. i did have quite a few entries. but all's well that ends well. the blocking techniques seem to have worked okay - the designed-in-canada knitalong dishcloth came in second, and the scarf won first prize. my gloves came in first, too! my pyjama pants won, too! haven't made the top yet, no rush on that as the category is "ladies' sleep pants." the kid has a full set of prize-winning pyjamas. these will go under the tree on xmas eve. the argylette cardigan took top prize as well! one of the women accepting the entries joked she might walk off with it! my "ladies' pullover" was also a hit. i finished this tea towel at the cottage... a year after starting... can't believe i didn't get a better photo of the finished object! and i left it up at the cottage to fulfil its destiny as a dishdryer, so no photo is likely to be forthcoming. ah well. i also got a couple of seconds in baking - brownies and shortbread - but no photos. my mitts took a prize as well. not everything did though! this hat to go with the mitts? nothing. and my strawberry jam and pepper jelly were a bust, too. honestly though? that was entirely expected. i usually overcook jam; this time i overcompensated and undercooked it. and the pepper jelly? well, have a look - the pepper bits are all at the top instead of evenly distributed throughout! none of my photos won either. but, i did achieve my goal of spreading my wings and entering categories i hadn't tried before. maybe next year! Well done on your successes in the competition, but I'm most impressed by your stress-free blocking technique. If it were warm enough here, I'd try it! big stack of entries for the fair! piping and flat-felled seams tutorial!